To those who see my daughter's awkward gait and her slow, methodical approach to gross motor tasks and think she is not capable: You don't know my daughter. To those who observe her speech delays and believe she doesn't understand everything that goes on around her: You don't know my daughter. To those who watch her write her initial while her friends can write their name and think she is not intelligent: You don't know my daughter. 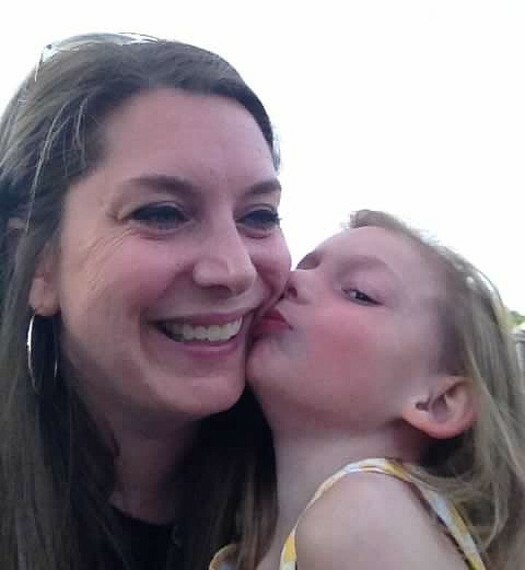 To those who see on paper all the diagnoses and labels assigned to her and assume that she is not like all the other kids you know: You don't know my daughter. To those who read her standardized test scores and grossly underestimate her potential: You don't know my daughter. To those who notice her laid back, and sometimes shy, nature and say she will never be able to keep up: You don't know my daughter. To those who think it's better not to challenge her for fear she might fail: You don't know my daughter. You don't know that she is amazingly strong and can swing on the monkey bars like nobody's business. You don't know that she has a heart of gold and can pick up on everyone's emotions, no matter how subtle. You don't know that she has complete verbal conversations with her limited language with people she is comfortable with and who give her their time and attention to listen. You don't know that she is pensive and thoughtful and has a memory for the most minute details. You don't know that she absolutely loves school and can hardly contain her excitement about going to Kindergarten in the fall. You don't know that she has been in Early Intervention since she was five months old and continues to make significant progress everyday. You don't know that she has beaten the odds since the day she was born and has been through more in her short life than most adults ever experience. You don't know that she is a fighter and had undergone two open heart surgeries by the time she was eight months old. You don't know that she has the literal and figurative battle scars to prove how tough she really is. You don't know that she is a loving big sister who is proud of her baby brother. You don't know that she loves the smells of lavender and of banana bread baking in the oven. You don't know that she enjoys watching both the Disney Channel and The Big Bang Theory. You don't know that she is funny and quirky and quick-witted, and that she makes us laugh everyday. You don't know that she is loved more than life itself by her mommy and daddy, and has an army of family and friends to support her. You don't know that even though she is only 5 years old, she is wise beyond her years. You don't know that even though she doesn't fit your rubric, she is a typical kid who loves to play and sing and eat ice cream. You don't know that even though she has her challenges, she is capable and motivated to achieve her goals. You don't know that if you give her a chance, she will show you what she can do.